Lovely collection of bridal gowns, plus sizes and destination gowns. Also exclusive to Bonny a collection of specialty smaller gowns for the less formal bridal party under the Joshua B. label and the Love Collection. A fresh new look at affordable bridal gowns. 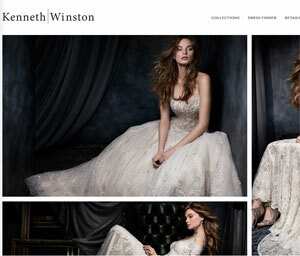 Also featuring Kenneth Winston Couture, The Gallery Collection, and Tango and Gallery for destination styles. New destination gowns at great prices as well as beautiful Couture lace gowns. Higher end beautiful lace gowns.